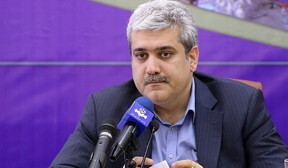 Iranian Vice-President for Science and Technology Sorena Sattari announced that the country has exported its first nano product to South Korea. The Iranian first vice-president reiterated that the first nano product produced by Iran has been exported to South Korea. "This move has changed our world ranking in the nano sector from seven to the sixth position," Sattari said on Monday. He noted that this measure has been taken after removal of the sanctions which is a great step forward in the nano sector. Sattari said that the removal of the West-imposed sanctions has helped Iran to achieve remarkable breakthroughs in scientific and engineering fields. Iran and the six world powers held several rounds of talks in Geneva, Lausanne and Vienna before striking a final agreement in Vienna on July 14 to end a 13-year-old nuclear standoff. After the agreement, the UN Security Council unanimously endorsed a draft resolution turning into international law the JCPOA reached between Iran and the 5+1 (the US, Russia, China, Britain and France plus Germany) group of countries.